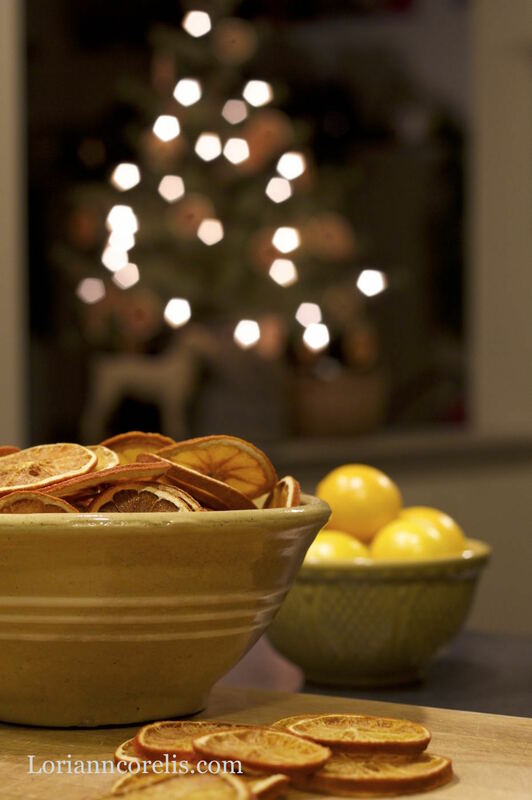 Simplicity in our decorating begins with greens, candles and dried orange slices. The layout of our home really doesn't allow for a big tree. crocks, all simply decorated with orange slices. pick up the light ~ Simple and calming. mostly because I love how the house smells while they are drying. Don't they look lovely just nestled into an antique bowl? Slice navel oranges into about 1/8" or so slices. 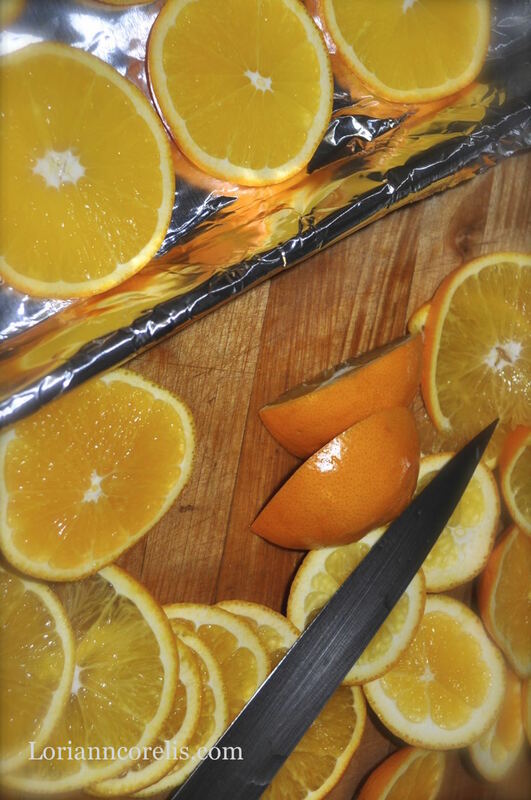 Lie orange slices in a single layer on cookie sheets and put into oven. After about an hour turn them over. Check them about every 30 minutes and turn again. They should take about 2 hours or more as everyones oven heats a little differently. 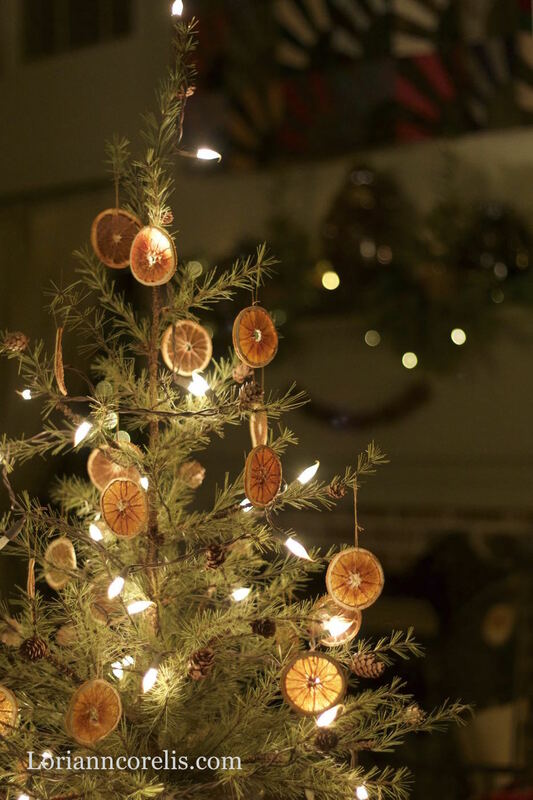 May you bask in the Glow of the season . . . I love this idea. Your home looks so peaceful. Christmas Blessings to you! What a great idea! But what temperature do we need to dry them? Oops . . so sorry Mirabili . . . 200 degrees for the oven!